For any millennials still feeling old after the tenth anniversary release of Grand Theft Auto III on iOS platforms last fall, get ready for another kick to the proverbial groin this fall thanks to Rockstar Games. 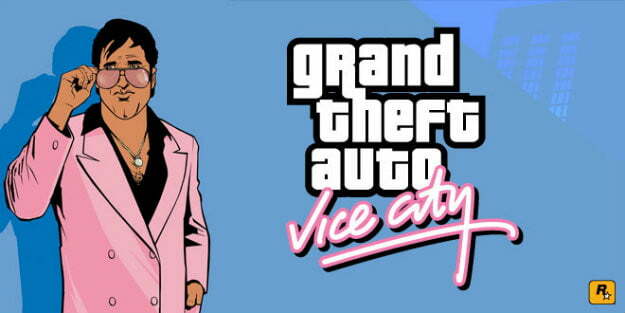 On Friday the studio announced the 10th Anniversary Edition of Grand Theft Auto: Vice City for Android and iOS devices. While a new trailer for a decade old game might not sound like the most thrilling release, Rockstar did promise that there will be “several enhancements” to the game in its new mobile edition. Mission checkpoints probably won’t make the cut. Grand Theft Auto V, the next new entry in Rockstar’s signature series, is still an unknown quantity. After a number of weeks releasing screenshots from the game on its website, Rockstar has been silent about the new game. Two days prior to the announcement of Grand Theft Auto: Vice City’s anniversary edition, the studio released a new piece of concept art for GTAV labeled “Pest Control,” with the promise that “lots of info” about the game would be coming in November. Grand Theft Auto V publisher 2K Games and its parent company Take-Two Interactive had to adjust financial expectations for the current fiscal year due to the game’s delayed release. Since GTAV was left out of its projections for this year, it’s been assumed that the game will be released in the second quarter of 2013, somewhere between April and June, much like recent Rockstar releases like L.A. Noire, Max Payne 3, Red Dead Redemption, and even Grand Theft Auto IV. If Grand Theft Auto V releases in April 2013, that will be exactly five years after its predecessor, meaning that Grand Theft Auto IV was as close to the release of Vice City as V is to it. Rockstar Games wants you to know: You’re old.